I am so in the holiday mood! especially now that our local radio station is playing 24/7 Christmas music...thank you 103.5 QM/FM! 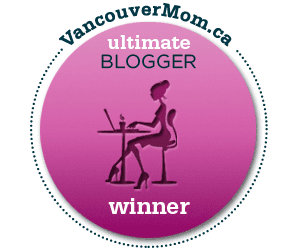 Last year, i blogged my first ever holiday gift guide, inspired by Mama in the City. Round 2 for 2012, and my baby is here! 2012 being baby's first Christmas, I cant help but feel super excited for what is in store for us this holiday season as a family of 3! 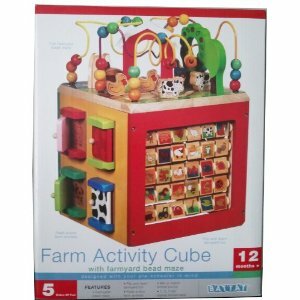 I saw this 5 in 1 activity cube at Costco for $50. $10/toy, space saver, no clean up., no apparent choking hazard, condo living friendly...i think that's WIN WIN! Max has something like this, but the 'busy zoo' version (thanks Mrs. D!). He's a little young right now, so he's using it as an anchor to hoist himself up...but every few weeks or so he's actually discovering the purpose of each little side and learning how to play with it. 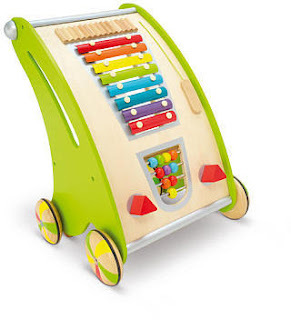 Great colors, no sharp corners, fun little activities, many learning and play opportunities, this is a fabulous toy! 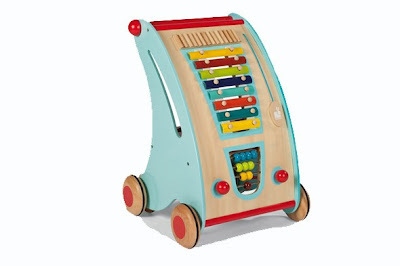 i love this set of sound and rhythm instruments from Melissa and Doug toy company. it was one of the first things that caught my eye as i entered Cowboys and Angels on W.4th. the seahorse is a rattle, you clack the clams, the octopus is a little tambourine, and i think the crab is another type of rattle. i dont know about you but sea life is always something i gravitate towards when checking out toys. they're always so cute! For the 2+ toddlers, I love this little JANOD Confetti Piano i saw at Hip Baby , also on West 4th. 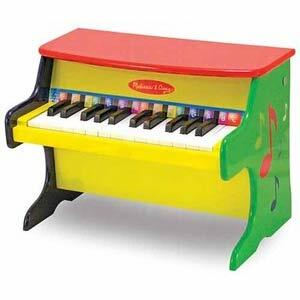 if you can find it, Melissa and Doug also have their own version. it's a bit cheaper and the colors are different. I've had no luck locating this in the Vancouver area! i saw this JANOD walker at Hip Baby (again on west 4th). nearly identical right? 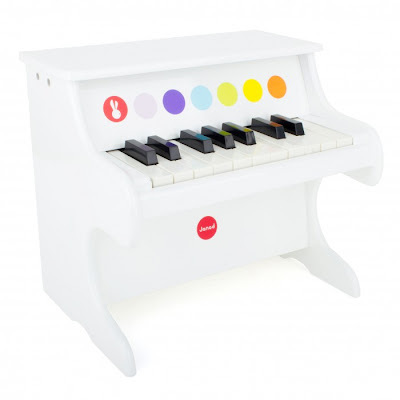 this green beauty by IMAGINARIUM sells for $40 at toys r us CANADA, and toys r us USA for $30 (both online only). Snap it up! i simply just love the SKIP HOP back packs and lunch bag sets. particularly the owl, monkey or penguin! i cannot make up my mind! they just scream bright, cute, child, and happy happy joy joy! 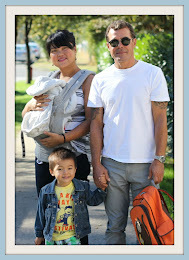 i can totally picture picnics with the lunch bag and Max carrying his little do-dads in his pack! locally, ive seen these at Granville island, TjsKids, Raspberry Kids and Crocodile. Last but not least, this SKIPPER Roller Ride on Toy is just so freakin adorable! The body part is a soft foam that's easy on the little bums. 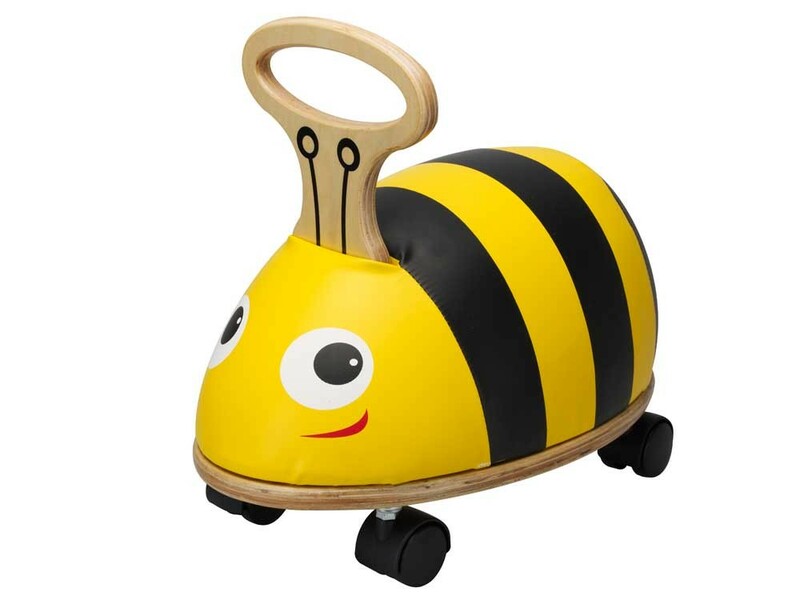 Kids just ride on it and scoot around the house- recommended for dwellings with wood floors as the wheels are like office chair wheels (rolling on carpet would be hard). 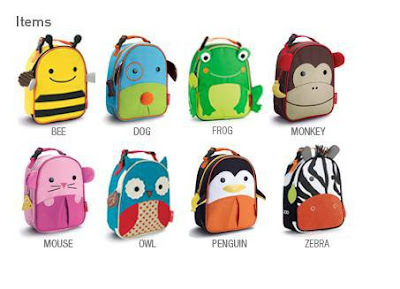 They come in a few designs such as a race car, cow, lady bug, and bee. I saw this at Raspberry Kids (online) and Hip Baby on W. 4th. Thanks for including our Skipper Bee Roller on your gift guide! 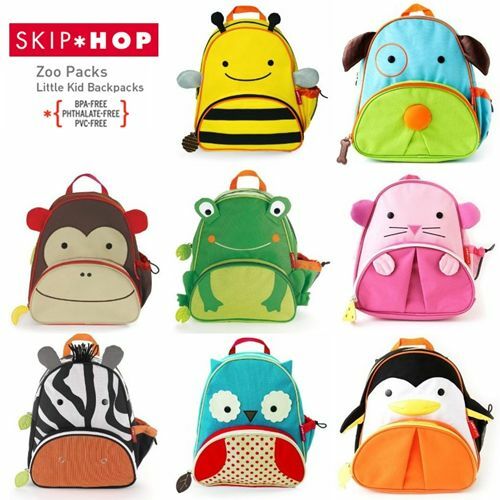 We also carry a full range of Skip Hop products including the backpacks and lunchies you show above! A lot of our local Vancouver customer shop online and select free warehouse pickup for their shipping option and then they come and get their orders at our warehouse in South Vancouver (at the south end of Oak Street). We also offer in person shopping by appointment and season holiday hours! If you have any questions, please do not hesitate to contact us at 604.568.5674 or at info@raspberrykids.com! thanks for reading. i have included your website with an attached link!